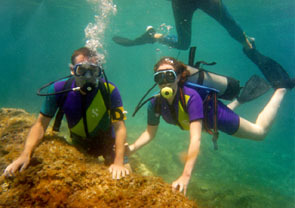 This is me and my girlfriend Helen scuba diving near Ipsos off the coast of Corfu during the summer of 1998. 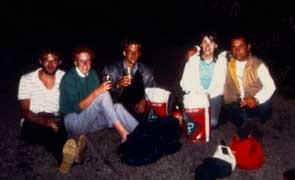 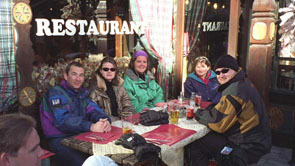 Here is one of me and some friends at Courchevel 1650 during a weeks skiing in January 1999. 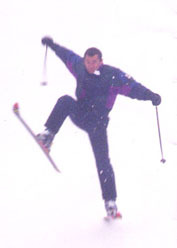 This is a picture of me demonstrating now to land a large jump in total control during a trip to Schladming in Austria with Team Taylor in March 1999.